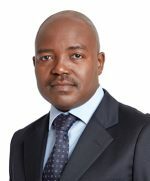 Muzi is the Chief Executive Officer of AFSA and is responsible for the management and governance of the Federation. He reports to the Executive Committee (Exco). His key role is implementing the Marketing Strategy developed by Exco and the AFSA team. It is focussed on growing, promoting and defending the aluminium industry, adding value to the Federation’s members. Muzi has a qualification in Metallurgical Engineering and is currently enrolled for a MBA, has extensive aluminium industry specific experience, especially in, both policy development and stakeholder engagement. He has also achieved notable success within the Metals Desk of the Department of Trade and Industry. He has been instrumental in supporting South Africa’s Aluminium Agenda. 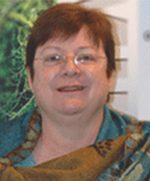 Antoonette joined AFSA in May 2006 and is our Bookkeeper (Financial Officer actually) and is very well qualified and experienced in what she does. She has also run her own business doing auditing before joining AFSA. She takes good care of the Federation’s accounts and can answer questions about the Federation’s activities. Antoonette has other useful talents and interests – her main interest being her family and their well-being. In addition to all the usual domestic functions to attend to [her other job], she says she can cook up a storm! Rentia is the first person you will encounter, whether you phone or visit the Aluminium Federation. 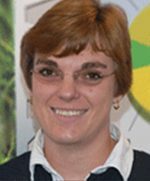 Rentia is the custodian of AFSA’s Technical Library and AFSA’s data bases and has an excellent general working knowledge about aluminium. Rentia worked in the Public Library in Germiston for ten years before qualifying as our Information Officer, and continues to broaden her knowledge within the aluminium industry. She also assists with exhibitions. She enjoys helping people and in her own time – goes caravanning and keeps her family in shape.